If you're a little like me and think the 80's were one of the sweetest slices of the comic history pie, than you'll love the blog of the latest guy to 'follow' IADW; Jason Shayer. 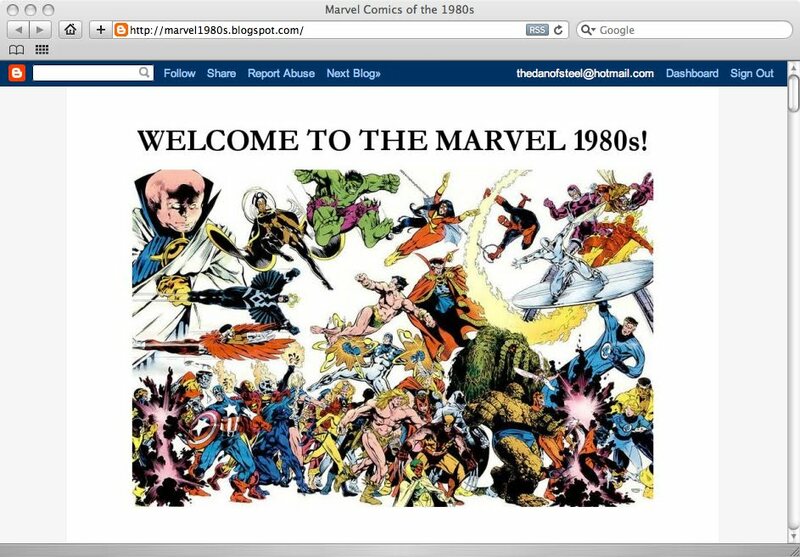 Marvel 1980's is a pretty self-explanatory named blog, full of unpublished 80's art, flashbacks and features that show you just what a great joint the House of Ideas was back in the day of Billy Idol, Pac-Man and Back to the Future. Check it out! Welcome to IADW Jason, glad to have you aboard! Glad to be aboard. Thanks for the kind words and the warm welcome!